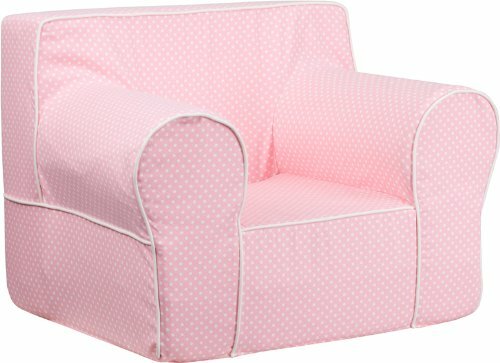 This comfy foam chair is a fun piece of furniture for children to enjoy for reading and relaxing. The lightweight design with carrying handle will allow this chair to be toted in several locations. The slipcover can be removed for cleaning or spot cleaned upon accidents.